Any eye-catching piece of artwork that adds dimension to your home! Five wood layers give a 3D look to the wall art, while the team logo, stadium name and team name bring the artwork to life. The bold team colors accent the piece so much, it pops-off the board giving character to any room. 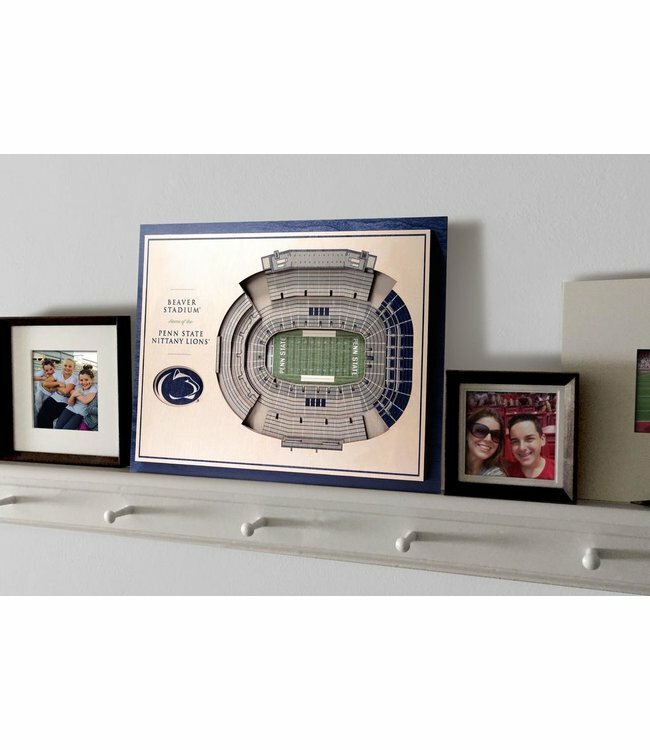 Give a piece of history to your favorite fan.